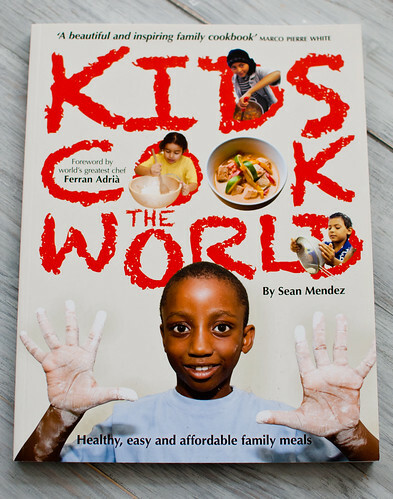 A while back I received a copy of a lovely charity cookbook called Kids Cook The World, a book written by Solidarity Sports specifically to help families and children cook healthy, affordable family meals together. I love that – it’s easy to forget that we are not just a generation who live for ourselves but one that must lead by example for all future generations and, whilst it may sound a little preachy, we have to take steps to help ourselves, our children and our children’s children. When I was in my late teens, I spent several months living in Malaysia and teaching in a special needs school. In fact, it was this experience that made me want to pursue a teaching career for a long while until food pulled me away again. The children I taught were aged from 5 – 11 and I loved every single one of them – from the babies with Down’s Syndrome to the older kids with autism and Asperger’s Syndrome who would kick me, scream and, one time, even stabbed me with a gardening fork. The children I taught were not all loved, many of the parents would see these few hours at school as time that they didn’t have to deal with what they perceived as their burden and they would be dumped unceremoniously on our doorstep, often crying, scared and confused. We tried our best to teach them basic numerical and literacy skills but my main goal was to show them that they were loved and so I dispensed cuddles like candy, played games, sang songs, danced and listened to incoherent babble with a big smile on my face. It was a very difficult few months but it was also incredibly rewarding and when I finally left I felt like I was leaving a little bit of my heart behind with my children. During school hours we would hold two class sessions and during those two sessions there would be a snack break and a lunch break. The food their parents packed for them was really terrible – sugary candies, starchy fast-energy carbohydrates, and, in one child’s case, simply a box of artificially sweetened cereal. After these lunch and snack breaks inevitably at least one child would throw up and the rest would spend the remainder of the afternoon in an uncooperative sugar rush, followed by a sugar crash. This is an extreme example but I’ve seen first hand what a lack of family food knowledge can do to a child’s well-being, especially ones as vulnerable and impressionable as the groups I taught, and I feel very strongly that we must help to change this attitude towards food. That’s why it’s so important to support charities like Solidarity Sports who are actively trying to help impoverished communities and increase awareness about healthy living, regardless of whether or not we have our own children. You can buy a copy of Kids Cook The World from Amazon and read more about Solidarity Sports at their website. We all need to do our part to help future generations be the best that they can be and this book is a great place to start, encouraging healthy eating and family community. Begin an education in healthy living when children are young and it will stay with them for life. Please note: whilst Solidarity Sports kindly provided a copy of Kids Cook The World, all views here are my own and no monetary compensation was received. I just ordered this and am hoping to use it for cooking club in Term 2 :) Thanks for this post. 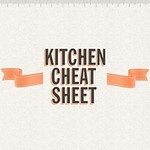 Looks like an awesome resource!